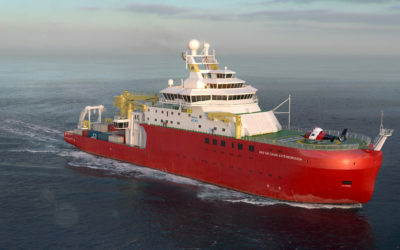 A £200 million state-of-the-art polar research ship is to be named after world renowned naturalist and broadcaster Sir David Attenborough, the Science Minister Jo Johnson has confirmed today. Following a call for suggestions that sparked global interest, Royal Research Ship Sir David Attenborough has been selected as a name that captures the ship’s scientific mission and celebrates the broadcaster’s contribution to natural science. Reflecting the global interest that the campaign drew, Jo Johnson has also confirmed the popular suggestion Boaty McBoatface will live on as the name of one of the high-tech remotely operated sub-sea vehicles. “This vessel will carry the Attenborough name for decades to come, as it fulfils its mission to explore the oceans and put Britain at the forefront of efforts to preserve our precious marine environment. Building on the interest in polar science generated by the naming process, Jo Johnson has also announced today that the Government will be investing up to £1 million in a new Polar Explorer Programme to engage young people and inspire the scientists, engineers and explorers of the future. The £200 million ship, being built in the UK on Merseyside, is due to set sail in 2019. 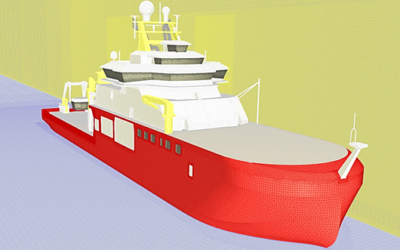 Tonne for tonne, it will provide the UK with the most advanced floating research fleet in the world, conducting vital research into the world’s oceans and how we address climate change. 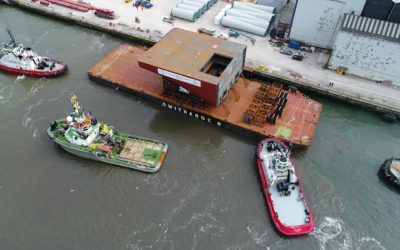 The decision to name the ship was taken by Government following a public call for ideas led by the UK’s Natural Environment Research Council (NERC). The search for a name attracted over 7,000 suggestions. Sir David Attenborough’s name was one of the top suggestions with over 11,000 members of the public supporting it and was chosen on the basis of his career as a broadcaster and natural scientist. Boaty McBoatface topped the list with over 124,000 votes and, in recognition of the public interest, it will be used as the name of one of the ship’s high-tech remotely operated sub-sea vehicles. Polar research has a history of unearthing vital scientific breakthroughs. British Antarctic Survey scientists’ discovery of the ozone hole in the 1980s, following many decades of monitoring, was crucial to the Montreal Protocol, one of the most successful international agreements ever. BAS scientists were not only leaders in monitoring stratospheric ozone but also made important breakthroughs in understanding the atmospheric chemistry that led to ozone depletion. Our continued investment in ozone research still provides abundant evidence for policymaking. What will the polar ship do? Robotic submarines and marine gliders including the Boaty McBoatface sub-sea vehicle will collect data, images and samples relating to ocean conditions and marine biology and deliver it to scientists working in the ship’s onboard laboratories. 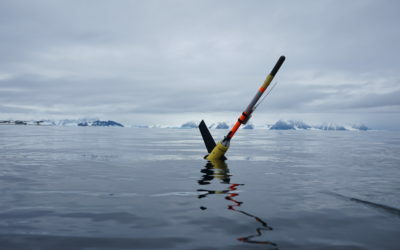 Airborne robots and onboard environmental monitoring systems will provide detailed information on the surrounding polar environment. Facts and Figures on the Ship. It weighs 15,000 gross tonnes – that’s one and a half times the weight of the Eiffel Tower. The Government will invest up to £1 million in a new “Polar Explorer” programme to inspire the scientists, engineers and explorers of the future. The programme will run over the next four years.  The programme will use the construction and launch of the ship to engage young people through the science, mathematics and engineering associated with the vessel. The programme will be led by STEM Learning Limited, building on the experience of their successful Tim Peake Primary Project. STEM Learning will work in partnership with NERC and STEM Ambassadors to reach out to schools, teachers and young people.